and a nice wooden case. The wood comes from Varsi, Italy, I think it is oak. I hollowed it out with a router tool and finished it with Tung oil. 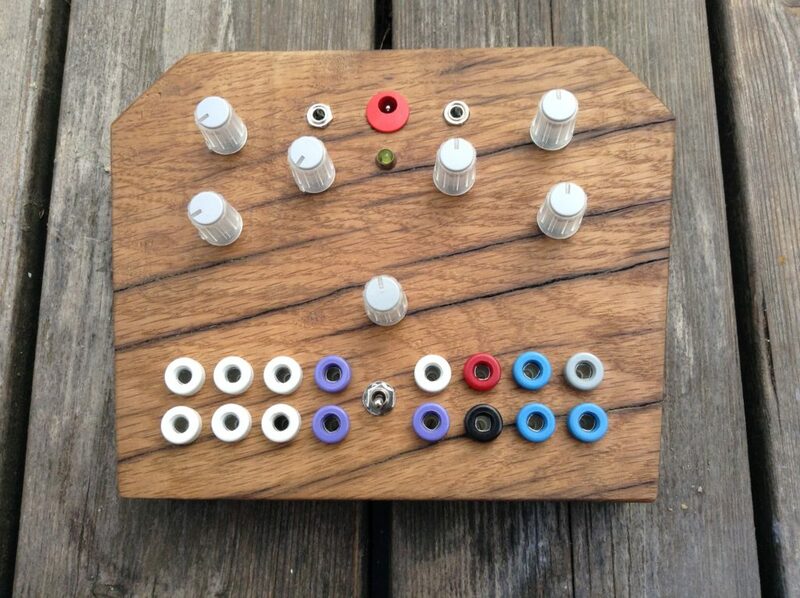 The Kastle is a digital mini modular synth with different synthesis types, such as phase modulation, noise mode,track & hold modulation. Originally it is a very small module with pin type connectors. 2 <<Give me some love!